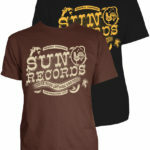 SKU: 344. 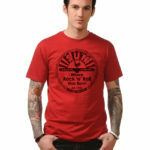 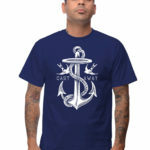 Category: Men's Clothing, Men's T-Shirts. 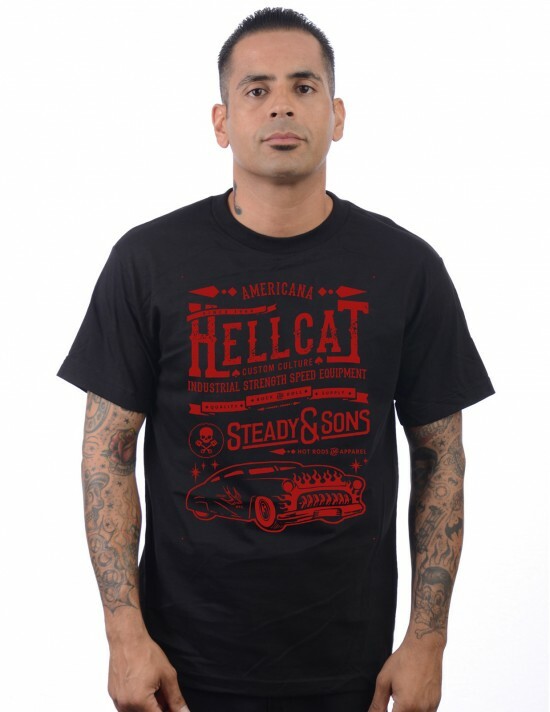 Steady Clothing’s Hell Cat Tee is roaring and ready to go! 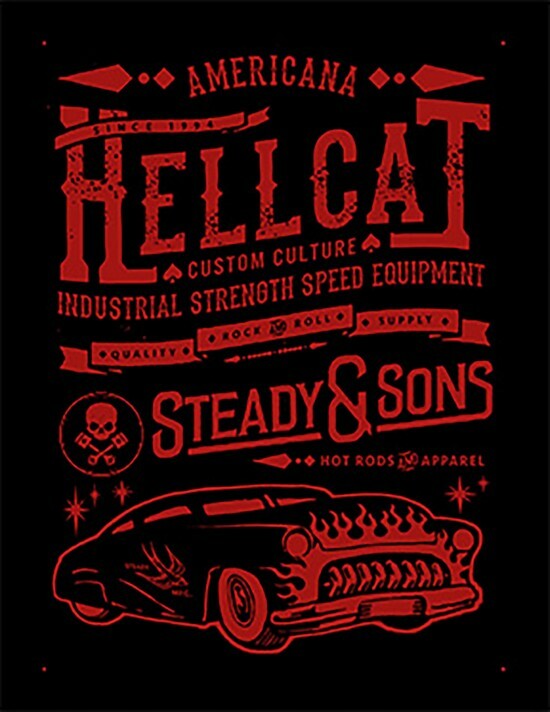 It features a vintage hell cat car detail featured on the front. It fits well and it’s super soft!